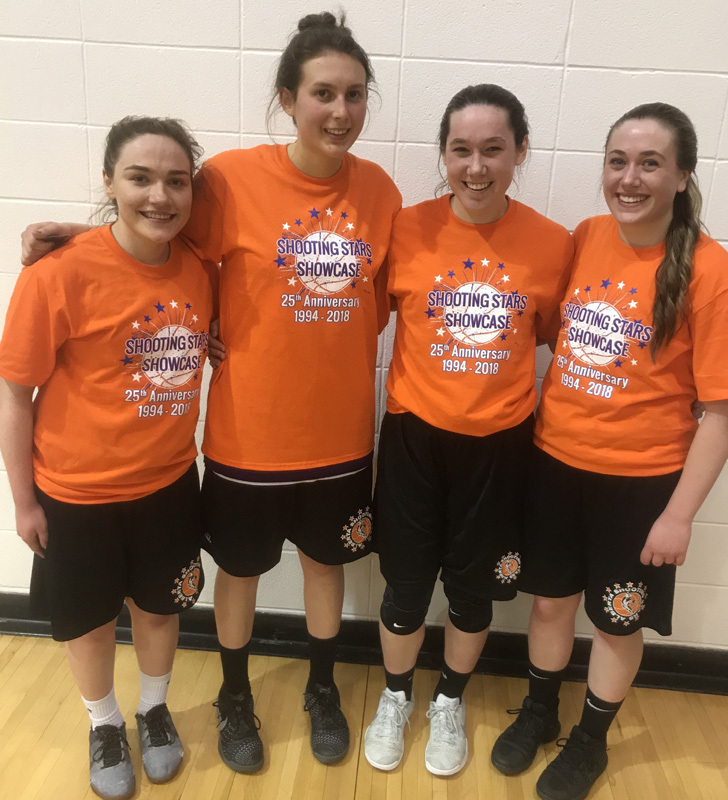 The high school basketball season is now officially over, with the conclusion of the Shooting Stars all-star game, this past weekend. Badminton and rugby teams have started and are hard at work preparing for their seasons. I wish everyone a nice Easter break. This column will continue in a few weeks. The Shooting Stars Showcase took place this weekend at SAIT. This year marks the 25th anniversary of the event. Chestermere is the only school that has had players in each event since its inception in 1994. Eleven athletes from CHS participated this year. Grade 12’s that participated were Olivia Armstong, Kasey Haasen, Camren Longstaff, Natalie McKernon, Kendal Russell, and Katelyn Smith. Grade 10, Carley Smigel, also participated in the event. 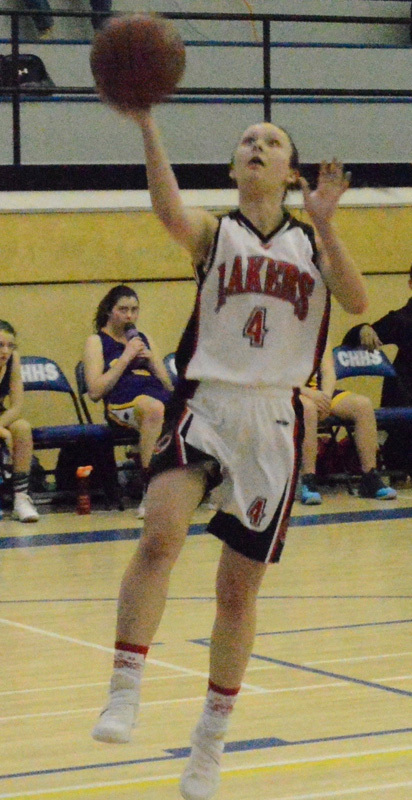 Grade 11’s that played were Emily Baker, Paige Grabmuller, Jenna Merhi and Morgan Wakeford. All players did well and made a solid contribution. Congratulations to seniors, Olivia Armstrong, and Kendal Russell, who both won the Shooting Stars Three Point Championships, in their respective games, this past Saturday. Shooting Stars will, once again, offer spring basketball for female players. We are planning to run club teams at the U13, U15 and U17 levels. Tryouts will begin Tuesday, April 10 and Thursday, April 12, at Chestermere High School, at 6:00. For an information flyer please contact Brian Utley at butley@rockyview.ab.ca. Wolfpack Club Basketball is excited to be running spring club teams for boys basketball. Wolfpack offers high level coaching to boys looking to develop their skills and basketball IQ. Check www.wolfpackbasketball.ca to stay up-to-date or to register. For more information contact Derrick Russell derrickrussell474@gmail.com. 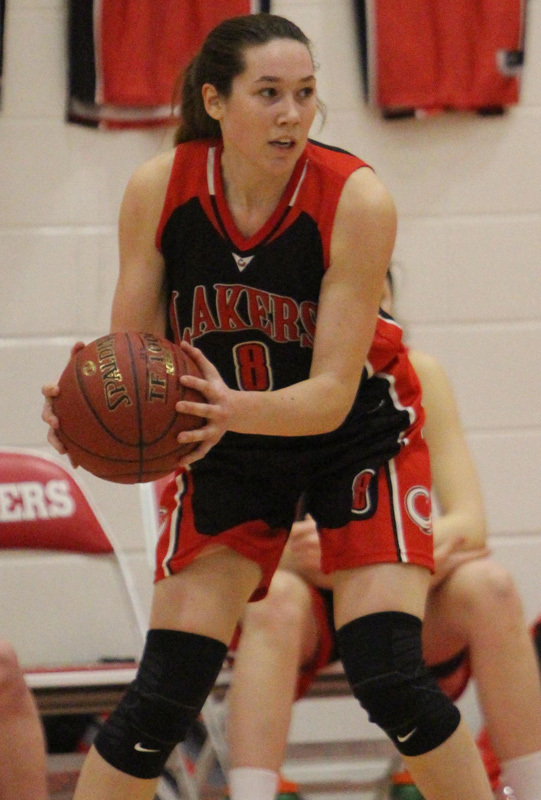 Chestermere High School alumni continue to make their mark in college athletics. Zack Wittenburg and Trevor Costello played their final regular season college game against one another, recently. 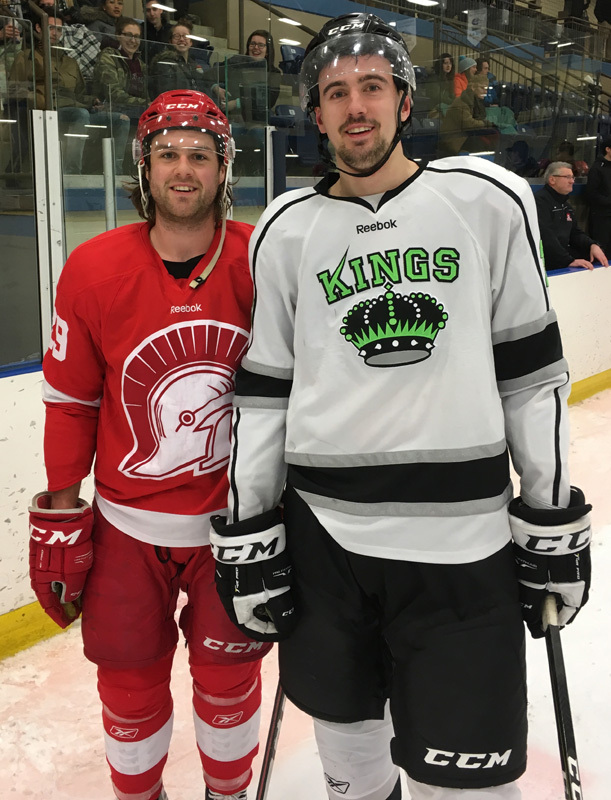 Both were part of CHS first Hockey Sports Performance Class and went on to play against one another in the Alberta Junior Hockey League and then in the ACAC. Zack completed his third and final year with SAIT and Trevor just completed his second year at Red Deer College.